Take your home care program to the next level! Grab your copy of Journey to Clean 2019. Let's face it - keeping your home clean (while trying to juggle a million other to-dos) is tough. You want a clean, organized home, but the everyday needs of your job and your family get in the way sometimes. Who doesn't need a way to easily streamline their complete home maintenance agenda? Enter Journey to Clean! This eBook includes 33 pages of printables to transform your cleaning routine. In this digital eBook, you'll learn how you can easily manage a thorough cleaning schedule by dividing the tasks into small daily portions. I've outlined your daily and weekly routines, including how to divide your home into Rooms of the Week. There's even a deep cleaning schedule for when you really want to make your home shine! The best part? 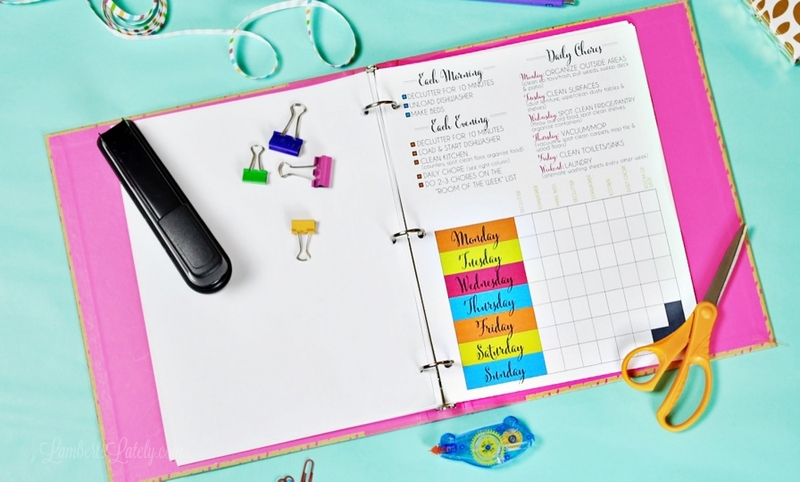 Your entire home care calendar is outlined in a beautiful, coordinated set of printables that you can use to start your own home cleaning notebook. Hi! 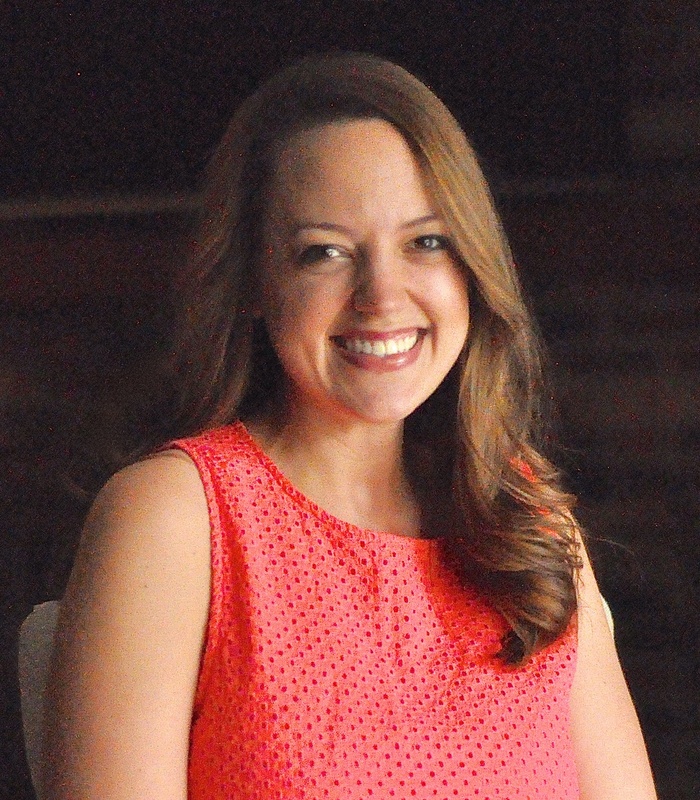 I'm Leslie, and I'm the blogger behind LambertsLately.com, where I discuss organization, food,, and anything home. On my blog, I absolutely love talking about homemaking: cleaning, recipes, productivity, and even the occasional mishap. When I became a stay at home mom in 2012, I found that I needed an easy way to streamline my home maintenance routine. I originally made this cleaning schedule just for myself. However, in late 2012, I thought I'd share it with my blog readers. To my surprise, it immediately become the most popular post I'd ever published on my blog! I started noticing lots of shares on social media and receiving emails from readers who had successfully integrated it into their own routine. This cleaning schedule has gone through several revisions over the years. I've added to it as my home needs have changed (as I moved from a garden home, to an apartment, to a ranch-style home, and now to our 2-story custom build) and I've integrated reader requests I've received. When I decided to write the original Journey to Clean in early 2016, I wanted to use this schedule as a basis for the ultimate guide to home maintenance! In this book, I cover everything from everyday cleaning habits to thorough deep cleaning lists. All of these suggestions combined can totally transform the way you care for your home. Home is my one true passion. It is the place where families grow and thrive. It's my mission to help you care for your home easily and effectively! So what's included in the full edition of Journey to Clean 2019? You'll get a new and improved version of the printable made famous in this post. It's one of the most popular cleaning routines on the internet for a reason...it works! of the cleaning schedule dated for January-December 2019. See the cleaning schedule broken down into easy-to-complete daily tasks! that coordinate with the daily cleaning routine. You'll receive a thorough checklist and 2 different schedules of how you can easily work through your seasonal cleaning. to stylishly organize your home cleaning notebook. of how you can integrate this home cleaning schedule into your daily routine! Want a free preview of Journey to Clean? Sign up for my email list and get an exclusive sneak peek! Now, there are two Journey to Clean options to choose from! For years, the original version of Journey to Clean has helped readers streamline their home cleaning routine. Now, I'm excited to share that there are even more options for planning your daily cleaning tasks! Journey to Clean Light is a simplified version of the original version of Journey to Clean. This edition takes the cleaning tasks and cuts them in half, reducing your total work time each day to around 30-45 minutes. This schedule is great for busy times of the year of for those who simply don't have an hour a day to clean. Many readers also use these systems interchangeably - I personally use them both! If I have the opportunity to use the full Journey to Clean calendar for a month, I do...for busy months (like summer or the holiday season), I switch over to the Light calendar. Simple as that! When you purchase Journey to Clean, you will receive a .pdf digital copy. That means you will be able to download the files for the eBook immediately and print as needed for your own personal use. This is not a physical product; nothing will be shipped to you. These files work best on 8.5x11" paper when printed in full color and can easily be printed at home. I've demonstrated how I assemble the home cleaning notebook in this blog post! I love making myself available to book readers to discuss any questions or suggestion for future editions! You can email me at leslie at lambertslately dot com and I'll respond as soon as I can. One word: printables! Every single printable in Journey to Clean 2019 is new. 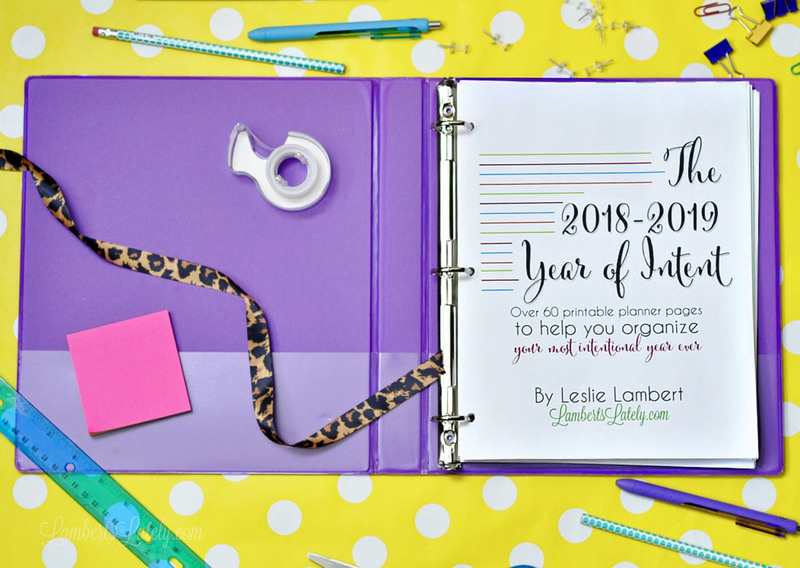 I've changed the look for this year's edition, matching it to my mega set of planning printables, The Year of Intent...now, you can have a planner and cleaning calendar that match beautifully! I've added a few needed cleaning tasks to both the original cleaning and deep cleaning schedules as well. Plus, this is the only place you'll find the full 2019 collection of printable cleaning calendars. You'll find that a lot of the instructions are similar or the same as the last edition...no sense in reinventing the wheel, right? 😉​ But I know so many of you are interested in the new cleaning notebook that will get you completely through 2019. What's included in Journey to Clean that I can't get at Lamberts Lately? Is this a physical product? What's new in Journey to Clean 2019 that I didn't get in the previous versions? Can I edit these printables? It's all outlined in the book! I detail how I integrate each aspect of Journey to Clean into your everyday life with commentary throughout the book. I typically recommend giving the schedule a full month to really start transforming your home. Alright, I've purchased the book...where do I start? How do I put my notebook together? I have another question...what's the best way to contact you? 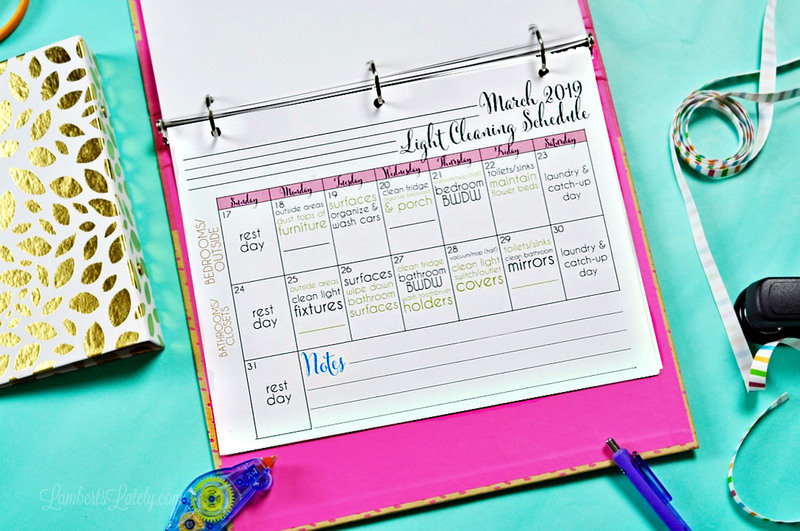 A lot has changed since I first published the cleaning schedule on this post! In this eBook, I've included a new version of the cleaning schedule that integrates reader requests I've received over the years. You'll get 12 months of brand new cleaning calendars that show you how you can complete the cleaning schedule daily. I've included commentary on simple ways I integrate this routine into my everyday life. You'll even get deep cleaning printables that aren't available anywhere else! Journey to Clean 2019 includes all of the sections you've come to love in the previous editions - overall schedules, cleaning calendars for all of 2019, section dividers, and a deep cleaning section. It totals 33 printable cleaning pages. Journey to Clean Light is similar; it includes lighter overall cleaning schedules, calendars for all of 2019 that cut your daily tasks in half, and divider pages to develop your own cleaning notebook. The Light version includes 30 printable pages. The printables in each edition are different - you won't see duplicates in either edition! What's the different in Journey to Clean and Journey to Clean Light? In my opinions, yes! I use both editions, depending on how much time I have to dedicate to cleaning in any given month. No given month is the same - your cleaning routine for any given month shouldn't have to be the same either. When I have a full hour per day to dedicate to cleaning, I choose the full edition; if I only have maybe 30 minutes a day, I go with the light edition. Both systems are similar and work incredibly well together. Do I need both editions? You might already have the book if you're asking this question. ;) I get this one a lot! In my cleaning calendars, I group together "Baseboards, Walls, Doors, and Windows" - when you see this on a calendar, simply wipe/clean all of these areas for your specific room of the week. Let's work together to revolutionize the way you care for your home! 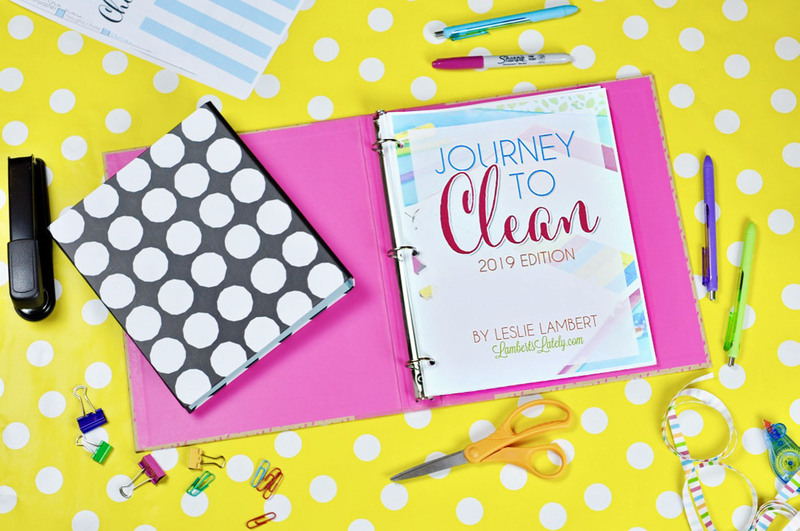 Want info on how to get a full printable planner that matches Journey to Clean? ©2019 Lamberts Lately Publishing, LLC. All rights reserved.